I bumped into this pic and just fell in love with it! It really says it all for me. 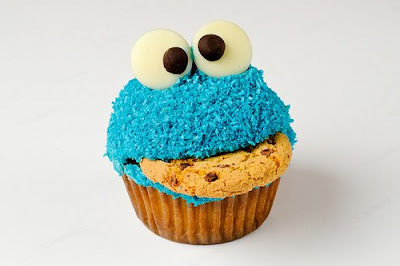 Not only is it a cupcake in the shape of the cookie monster but it also has a cookie stuffed in its mouth!!! I made a cupcake like that!! !